RESPONSIBLE FIBERS We’re committed to changing the way clothes are made, starting with the materials we choose. Our most popular wools support the welfare of sheep and the land they graze on. Every year, 1 billion sheep produce 2 million metric tons of wool. Most of it is bought and sold by a complex web of brokers and middlemen, making it virtually impossible to trace fibers back to the farm. For 30 years all our wool was part of that system. Not anymore. That meant 3 years of research. We visited farms in South America, New Zealand and Australia. We met with veterinarians, biologists and industry experts. We ran quality tests with our yarn spinners. And we joined like-minded brands in consulting with Textile Exchange, the nonprofit that introduced the Responsible Wool Standard in 2016. We are proud to be among the first brands to introduce RWS certified wool. We feel strongly that this new standard, while still a work in progress, represents a significant improvement over “business as usual.” It’s an important step in moving the global industry toward ever better practices. 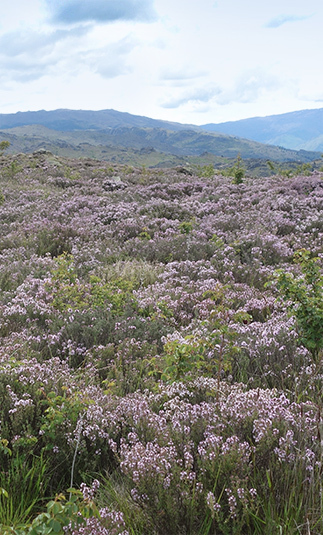 RWS certification requires farmers to maintain soil health, protect biodiversity and promote native species. Our teams have seen firsthand how important this is—improper grazing depletes fields of vital nutrients and forces the use of chemical fertilizers. 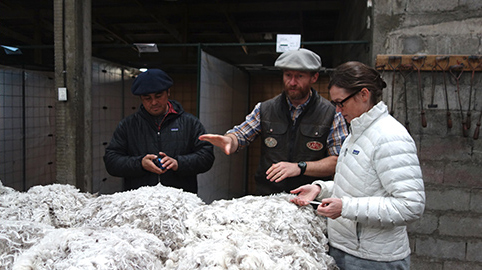 But in Argentina, where most of our RWS certified wool comes from, we saw just how high the bar can be set. There the farmers in our supply chain plan their grazing herds to restore and regenerate depleted grasslands. By creating rich, fertile soil, they’re helping to sequester carbon and turn livestock management into a tool for fighting climate change. New Zealand: Our new Luxe Stretch Merino uses some of the finest and most luxurious wool around. It comes from ZQ Merino Fibre in New Zealand, a network of farmers known for expert breeding and responsible animal welfare practices. They currently meet ZQ’s strict requirements and are in the process of becoming RWS certified. 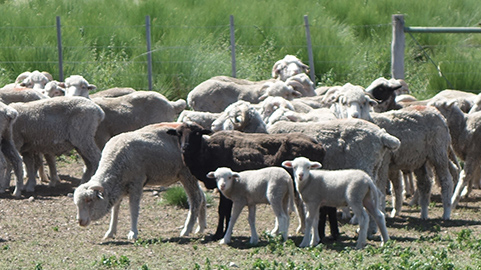 Argentina: Ovis 21 is a network of farmers in nine provinces. We work with a select group—including farms we visited—to source wool for our signature Merinos and our Washable Wool knits. We were impressed with Ovis 21’s holistic approach to land management and its commitment to animal welfare. As a Certified B Corp, Ovis 21 meets high, third-party standards for social and environmental practices. As a local hub for the Savory Institute, it educates and trains farmers in livestock management techniques that restore soil health, reverse desertification and regenerate grasslands. Learn more here: Responsible Wool Standard responsiblewool.org Savory Institute savory.global International Wool Textile Organisation iwto.org/wool-production .